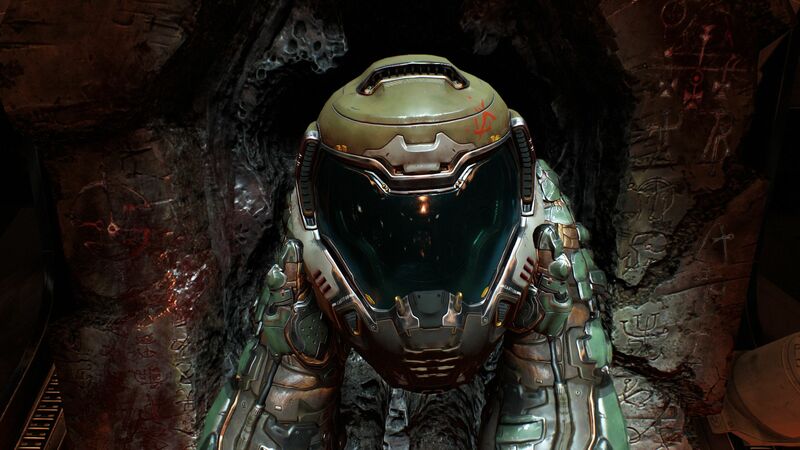 With the new version - or, more accurately, the reboot - of Doom, developer id Software gets rid of the controversial mega-textures the predecessor-engine id Tech 5 made use of. 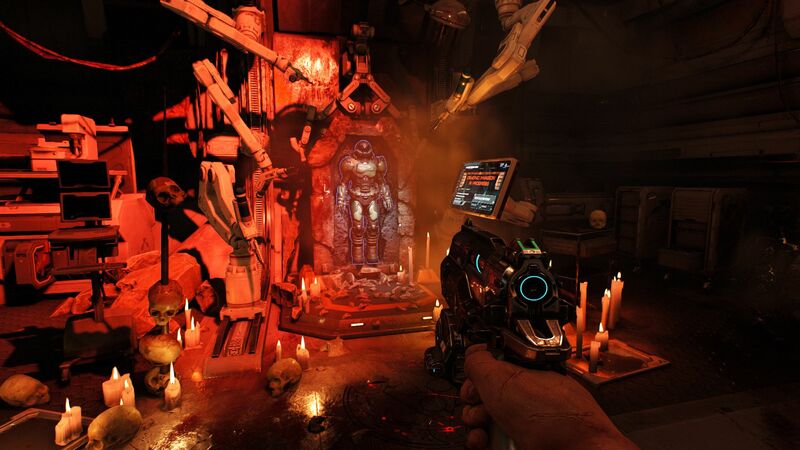 This engine powered games like Rage, Wolfenstein: The New Order and The Evil Within and caused plenty of resentment because of the high RAM usage and laggy textures. 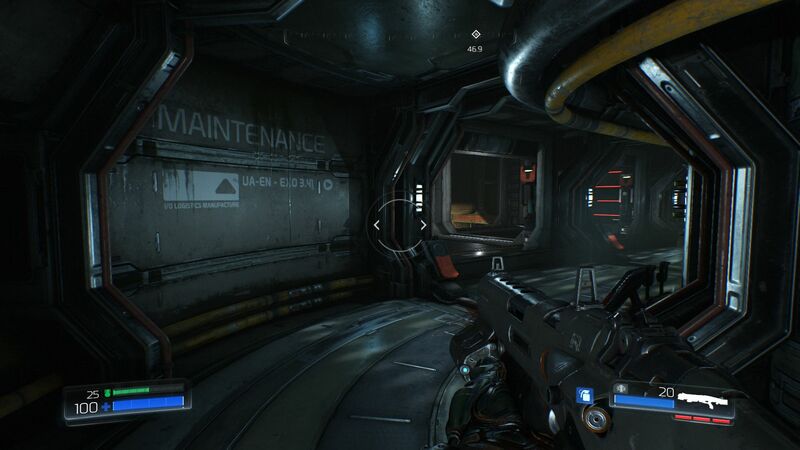 Although id Tech 6 also suffers from visible texture changes (fast camera panning, low object distance), it's not quite as noticeable as before. One of the main plus points of the new engine is dynamic lighting. 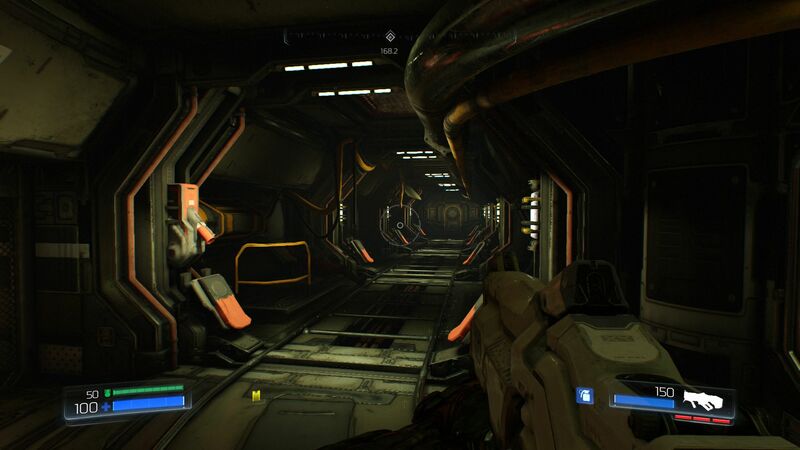 As far as light and shadows are concerned, Doom doesn't have to hide behind graphically more elaborate shooter-game colleagues like Star Wars Battlefront. 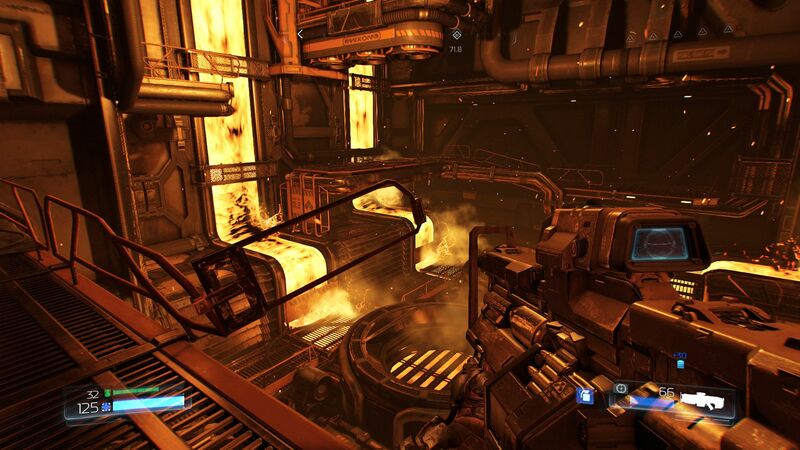 Across the board, the id Tech 6 engine impresses with great effects - be it reflections, sparks, or other particles. Water, smoke, animation and textures are also (save for a few exception) up to the current standard. In addition, the gaming universe appears to be very cohesive throughout, which isn't something we can say about all titles. The more brightly colored inside and outside environment might not universally appeal, however. While Doom 3 was predominantly gray, the successor makes use of yellow, brown and red hues, which make the game appear warmer. The new look is well-suited for the action-oriented gameplay. 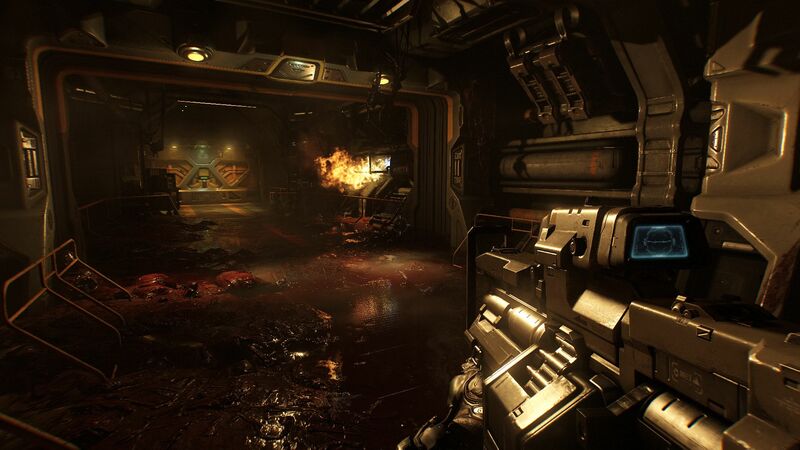 Instead of in-your-face fear and horror, the new Doom focuses on sweat-inducing gunfights with hordes of demons. 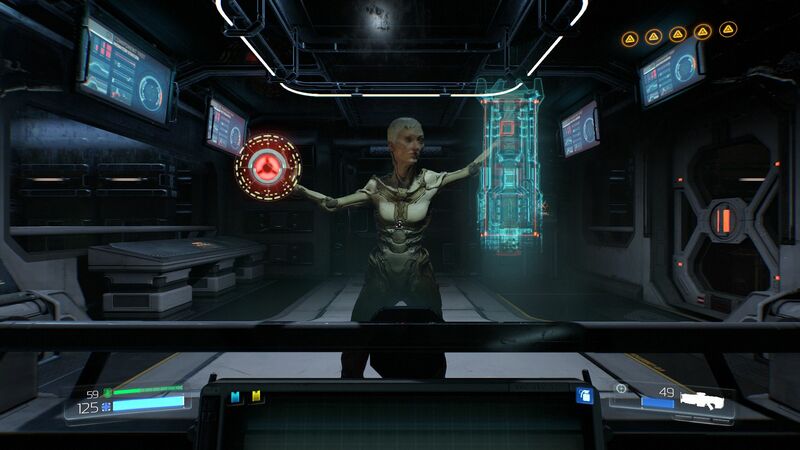 From an objective viewpoint, the game design definitely has some flaws. In addition to old-fashioned and uninspiring tasks (look for keycard x, activate generator y,...), the storyline itself fades completely into the background in the heat of the moment, so the user has to try to understand what's going on from the various entries. 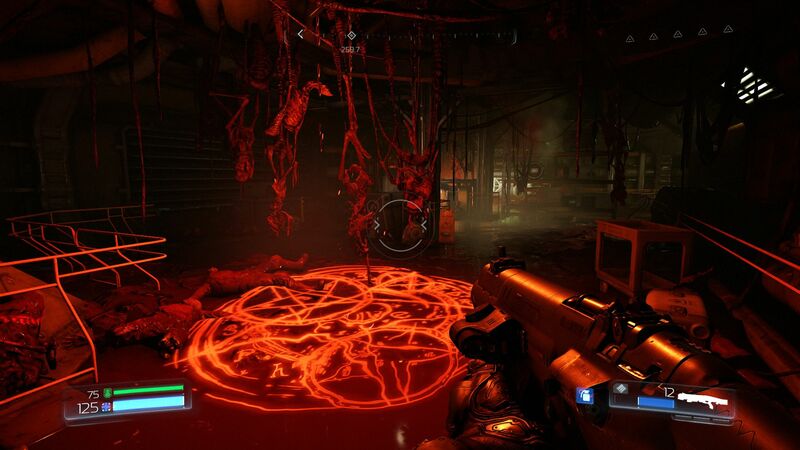 Speaking of entries: even though Doom appears to be "going back to the roots", there are many modern features which don't - at least in our opinion - mash well with the game and have a negative impact on the atmosphere, although they do invite the user to explore the sometimes massive levels. We could've done without the challenges and collectibles, for example. The weapons upgrades do make sense though, because the secondary mode allows the use of alternative tactics. 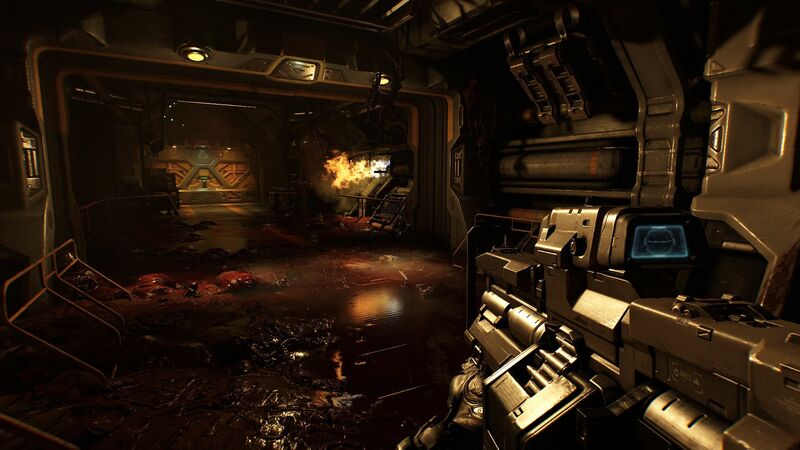 The core element of a shooter is gunplay - and this is where Doom excels. 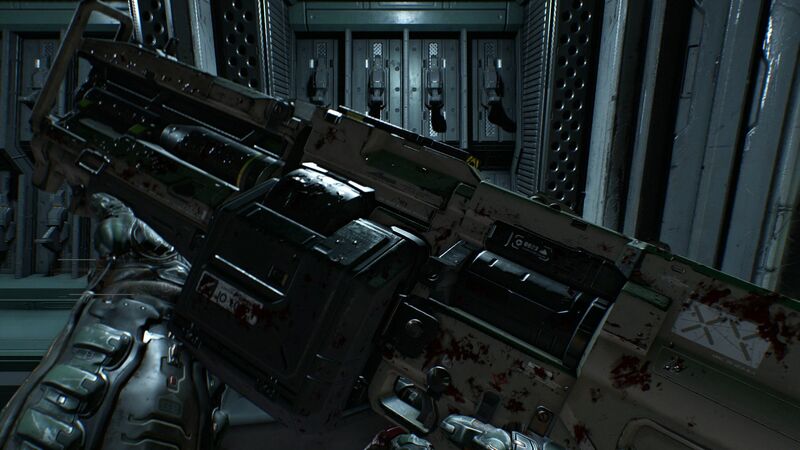 It doesn't matter if we are talking about the weapons design, camera, or the feedback when hitting the target: there are hardly any other games which feel so perfect. The controls are also top notch. Thanks to the extremely fast movement and close-quarters combat, the user sometimes gets sucked into a fighting frenzy, with the player character performing acrobatic feats. In other words: the "flow" is great. 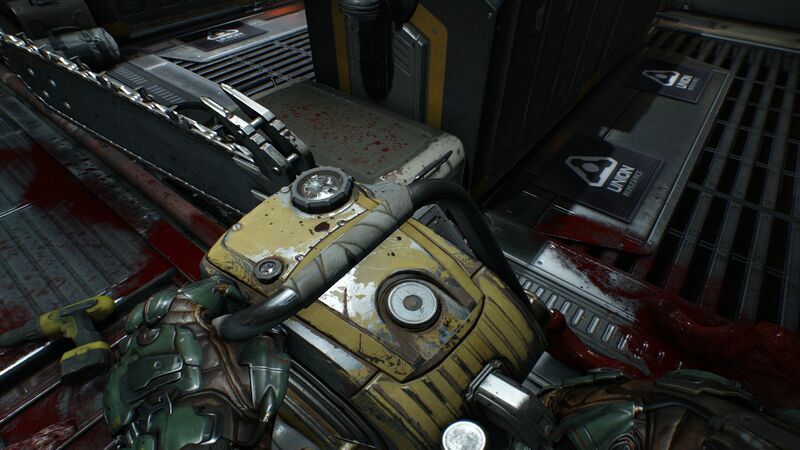 Because Doom comes across as a lighthearted game despite the inherent brutality, we find it easy to forgive the shortcomings. Back to the graphics. 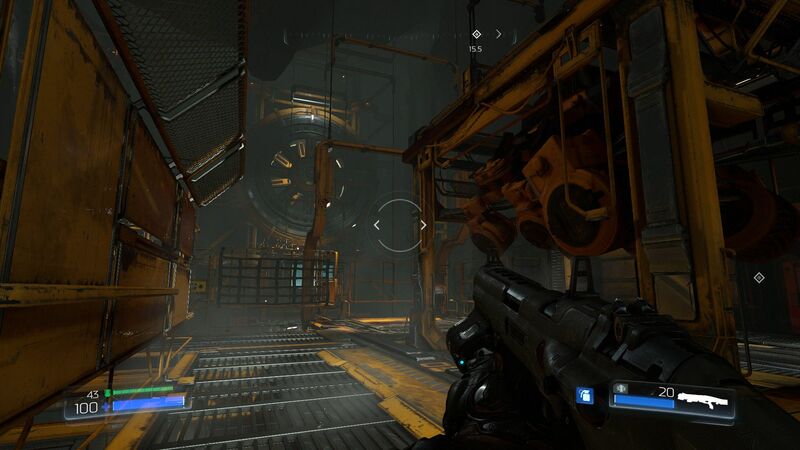 Unlike other engines, id Tech 6 isn't based on DirectX, but on the much rarer API OpenGL (id Software has promised a patch for the successor Vulkan, which is supposed to decrease the driver overhead just like Microsoft does with DirectX 12 and AMD with Mantle). 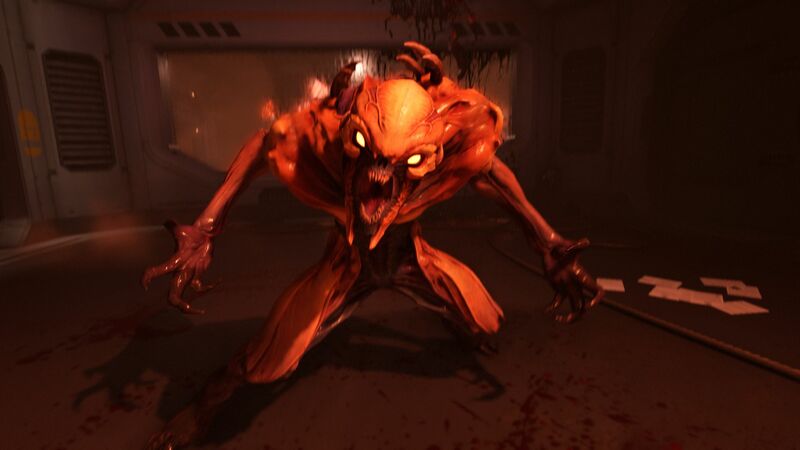 We really like the fact that Doom can be adjusted in so many ways. Within the options menu, there are dozens of sliders which allow the user to adjust the game to their needs - and that without requiring a restart. Since the Ego-Shooter looks very nice even with the details set to low, the hardware requirements are pretty stringent, as the benchmarks show. 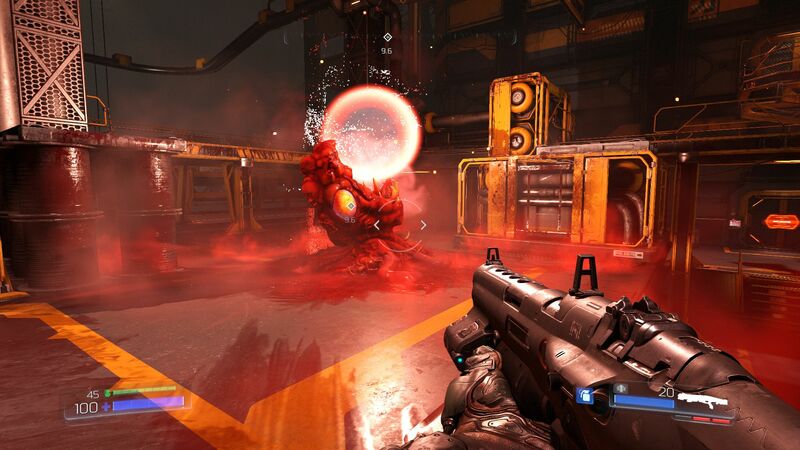 We also have to criticize the fact that Doom occupies over 50 GB on the hard drive. According to the minimum requirements, the gaming rig needs to be equipped with at least 8 GB of RAM and 64-bit Windows. Speaking of RAM: in order to use the maximum shadow-setting "Nightmare", over 5 GB of VRAM are a must. For our tests, we only used the standard quality levels low, medium, high and ultra. The last two include FXAA and SMAA, respectively. 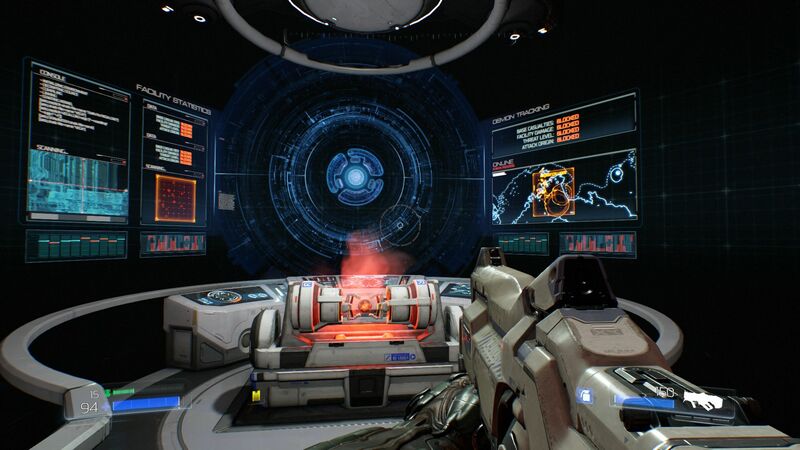 Doom also supports the anti-aliasing technologies TAA 1TX, FXAA 1TX, SMAA 1TX and TSSAA 8TX. Users who install the title on an SSD can look forward to very short load times, although the game start itself can still take a little while. If the game is installed on a regular platter-based hard drive, a bit more patience is required. We didn't experience any technical problems during our testing period; only our 4K monitor had some scaling issues with non-native resolutions (at times, no fullscreen was possible). 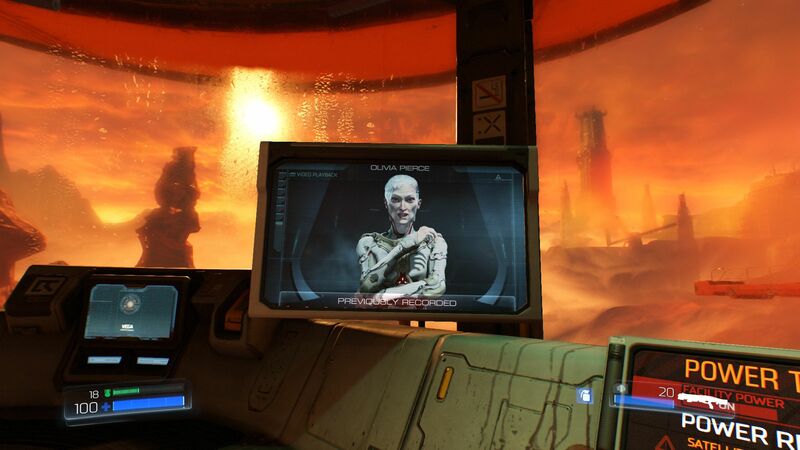 For our frame rate speed tests we use a passage from the first campaign. The sequence is about 30 seconds long and starts with a warm-up (see video). 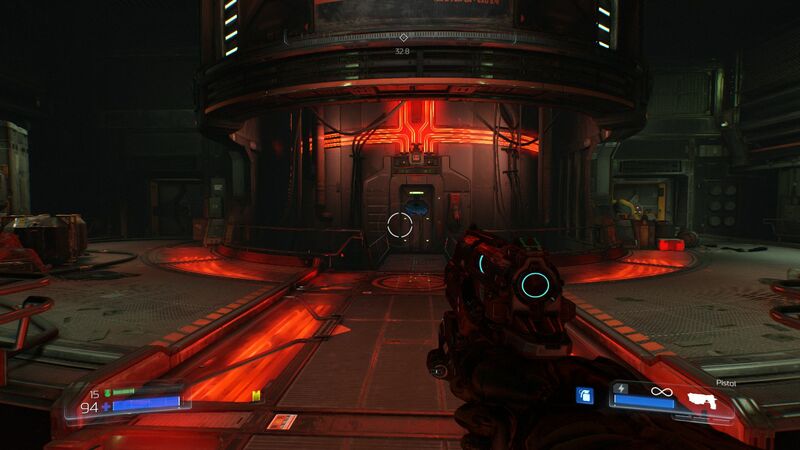 The passage is typical for the gameplay and the demands are neither above nor below average. 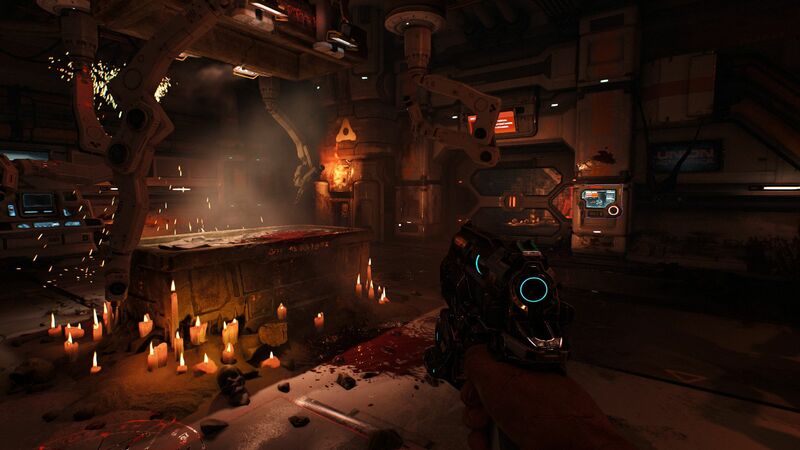 For standard FPS games, 35+ fps is normally sufficient for a stutter-free experience - since Doom is a higher-tempo game, we suggest 45+ fps. Our recommendations are based on that assumption. We hinted at it earlier: the hardware requirements are very stringent indeed. Most business or inexpensive multimedia notebooks can't produce playable frame rates at any settings. 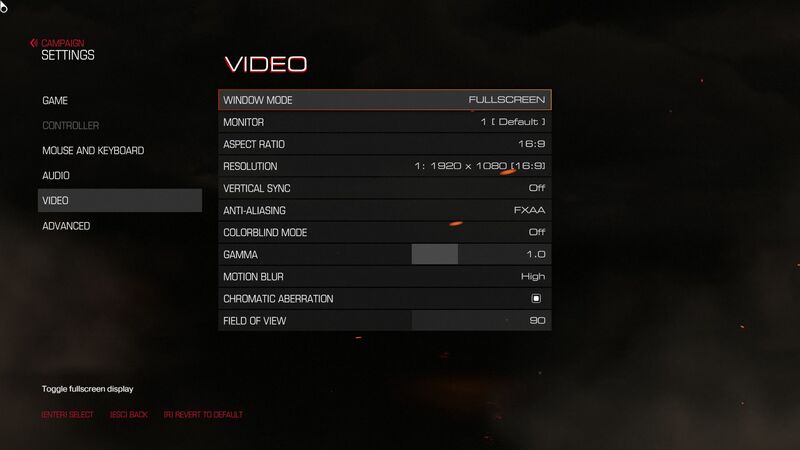 A GeForce 920M, for example, has issues already with 12280 x 720 pixels and the low preset. 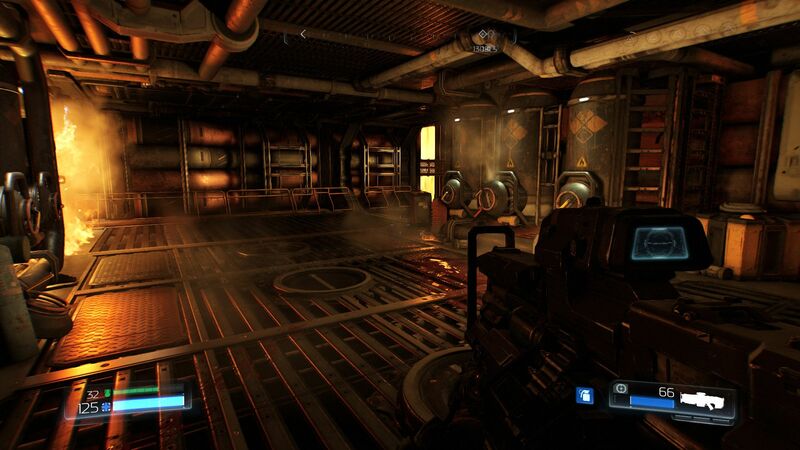 When we tried the HD Graphics 4600 and Iris 6100, Doom didn't even start (we had the latest driver installed). For medium details and 1366 x 768 pixels, a powerful mid-range GPU or an older high-end GPU - think GTX 860M - is required. 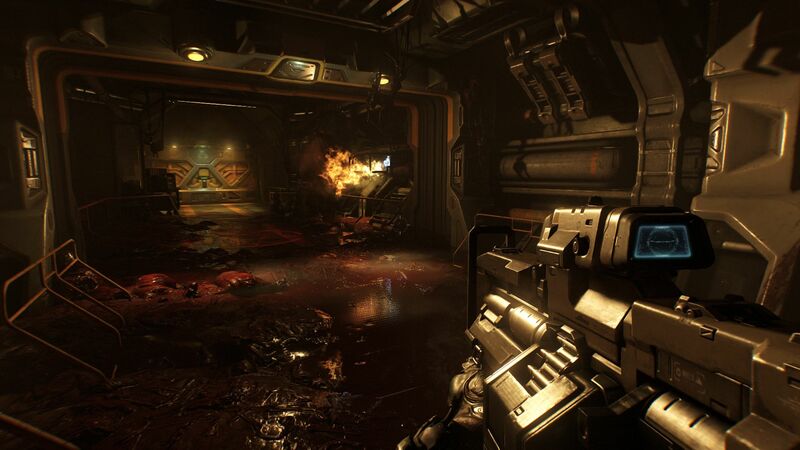 A GTX 960M wasn't much faster on the ultra setting, which goes to show that Doom requires a lot of VRAM. 2 GB are without a doubt a limiting factor (our Kepler GTX-860M has 4 GB). Only very high-end notebooks can handle a resolution of 1920 x 1080 pixels. 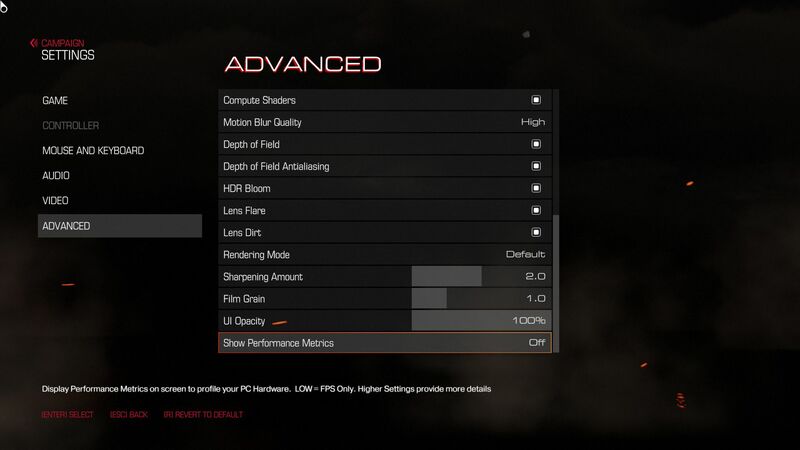 The preset medium only runs stutter-free if the notebook in question is equipped with a GTX 880M or better; the preset high requires a GTX 965M respectively GTX 970M. For the preset ultra, nothing less than a GTX 980M will do. 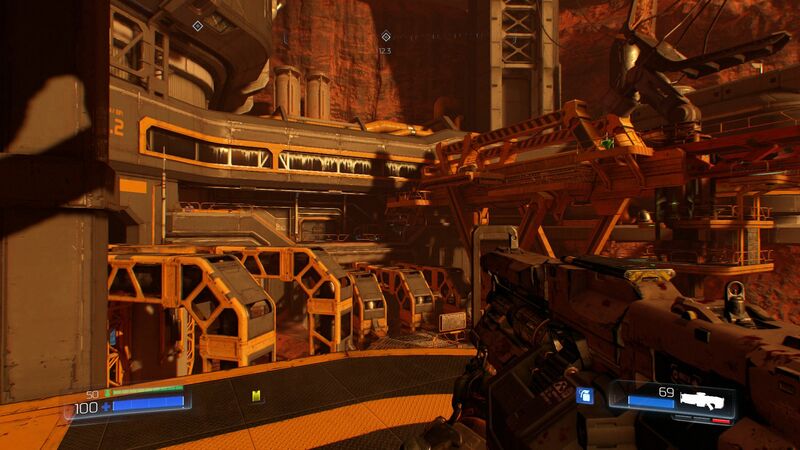 At a resolution of 3840 x 2160 pixels, Doom pretty much stutters on all notebooks. A combination of 4K and high settings even brings a desktop GPU like the GeForce GTX 980 to its knees. 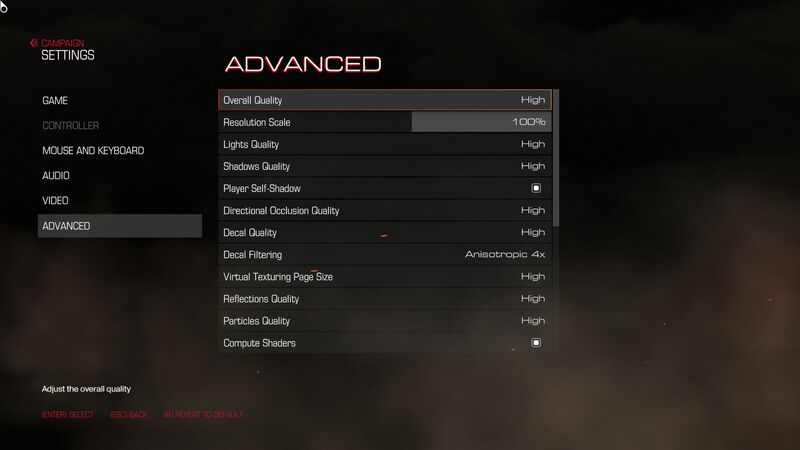 For smooth gameplay, a GTX 980 Ti or GTX 1080 is required. Nvidials Maxwell architecture seems suited best, as AMD GPUs and older Kepler graphics cards don't nearly offer equivalent performance. The CPU only plays a secondary role. Note: at lower frame rates, the entire gameplay becomes sluggish. The title really comes into its own at frame rates of about 60 fps. Benchmark results for additional GPUs will follow at a later date.